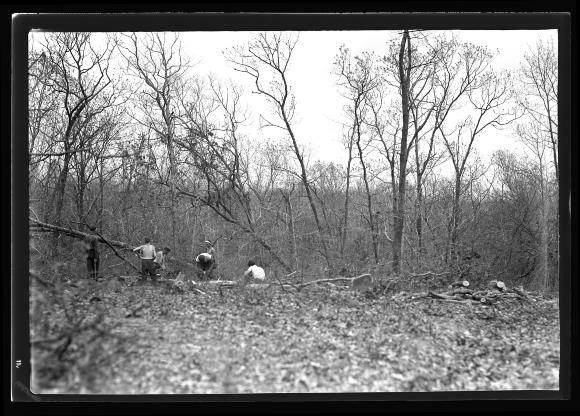 View of men clearing brush in woodland owned by the Gray Goose Gun Club in East Hampton, Suffolk County on Long Island in order to reduce the risk of a forest fire. This image was created to record the forest fire control activities of the New York State Conservation Department. Source: New York State Archives, New York (State). Conservation Dept. Photographic prints and negatives, [ca. 1904-1949], 14297-87, SARA No. 1799.